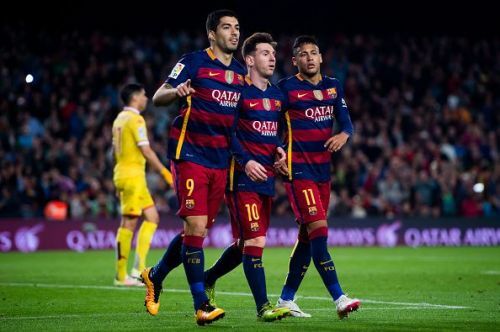 During his time at Barcelona, Neymar linked up with his South American compatriots, Lionel Messi and Luis Suarez, and together they formed one of the most impressive attacking trios (MSN) in football history - taking Europe by storm with their incredible exploits in front of goal which saw them record 120+ efforts in each of the 3 years they spent together at the Nou Camp. Besides their ability to get on really well whenever they find themselves on the pitch, these fantastic South American talents were also great friends off it, and they were always doing things together before the Brazilian secured a transfer away last summer. Although Neymar has moved on to Paris Saint-Germain, he still keeps a close friendship with Lionel Messi and Luis Suarez, evidently visiting the duo and taking pictures with a host of Barcelona stars during a break last season and this connection could play a huge role in luring the Brazilian back to the Nou Camp.